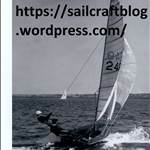 It's different for every boat so look at the CA tuning guides and tips from their top sailors. 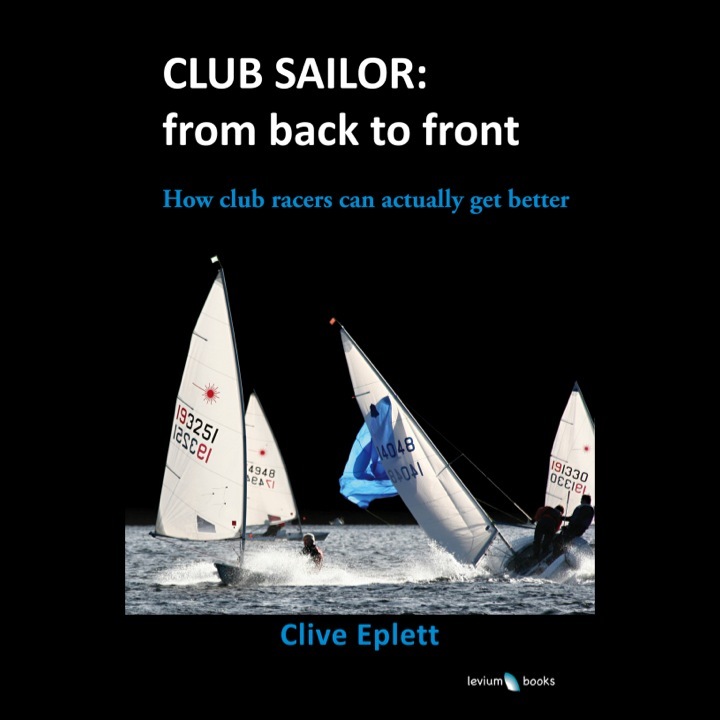 But, for detailed, non class specific advice buy a copy each of "Start To Win" by Eric Twiname and "Expert Dinghy Racing" by Paul Elvstrom. FWIW jib car position affects jib leech tension and twist, set it so the twist matches the mainsail and adjust the slot to suit, jib luff is usually dictated by rig tension so see above, more rake is faster upwind but slower down, cunningham (downhaul) depowers and flattens the top of the sail by bending the mast, kicker increases leech tension and reduces twist (so more power offwind) but upwind bends the mast which depowers the sail and, depending on the class, you'll be controlling mainsail leech tension with the mainsheet so the kicker will be slack or with the kicker with the mainsheet controlling sheeting angle only. Every class has it's foibles and needs specific advice. jib car positions - class dependent, as it relates closely to the slot which relates to hull shape, permitted sheeting angle, sail depth etc. jib luff tension - easing luff tension allows for a flatter entry because the point of maximum draft moves aft, therefore increasing pointing. jib leech tension - as with car position. Mast rake - less rake equals higher pointing generally, but there's a lot of inter-relationship with other factors. kicker - class dependent. On some boats, tighter kicker can tighten the leach and flatten the sail and allow you to point higher. On others, tighter kicker bends the mast and allows the mid leach to sag open. downhaul - less equals higher. The draft moves aft, flattening the entry and tightening the leach. BTW, the key is VMG which is a balancing act between pointing angle and speed, too high and the extra angle isn't enough to compensate for loss of speed, too low and the higher speed can't make up for the greater distance travelled. anything which narrow the angle of attack is good, but the trade off is that many of these things also move the draft further back, close the slot and hook the leech. This stops the air leaving the aft of the rig efficiently, and chokes the sail, which will harm pointing (and massively speed). In practice, a lot of it is feel. There is a very fine line on slower dinghies between VMG and too high. In the original post, it is unclear whether you are looking for the ability to point high for short periods, or whether you have an inherent pointing problem. If you are looking for short term pointing ... to lay a mark or squeeze another boat, then probably best to look at the controls and sheets to find a solution. However if you feel that the boat simply doesn’t point, then you probably need to look at fundamentals ... such as mast set up which the tuning guides tend to cover well. Also consider the condition and symmetry of your foils. Sail upright and minimise rudder movements. Whilst the ability to point when tactically required is a good thing, sailing free and fast, even if it is a knotch off pinching is in most classes a good thing. Where I sail, occasionally it is important to pinch to get to windward of a moored boat, at this point it becomes blindingly obvious that pointing too high is slow. In the Solo it pays to let a little foot off, and pull on some kicker, to get the lower leech to stand up if I want to point high. In the Yawl, similar plus sheeting the jib hard to flatten the entry. Worth noting that one of the easiest ways of getting past a group of back markers to windward (or leeward) is to crack off a little and sail through their lee. My favourite answer to "how can I point higher?" is "buy a longer tiller extension"
Michael McNamara in his talk at the dinghy show this year suggested the windward tell-tales need to be pointing vertically, not streaming horizontally - doing so gives a few degrees of extra height. Often the elephant in room, when it comes to pointing is leeway. Ultimately, it's not which direction the boat is aimed but where it actually goes. The boat not being held flat, plate not fully down or stalled out, butting into on-coming chop and more all conspire to add leeway and result in failing to hold a lane. Height is only really important off of a start line and when trying to hold a lane, as others have said VMG is the most important factor. Height generally comes with speed and flow over the foils. So pay as much attention to what is going on in the water as in the air. There's an old saying, where the head goes the body follows and until I once followed a really good lass in a Europe up a beat and then realised that there is no difference between the way I sail a board and the correct way to sail a dinghy, I didn't think it applied. But whoever back there said about feel, that's the answer and even for someone like me who lives by feel, on sail craft, no tel tales, no little flag thing on top of the mast, it take a while to bed into a boat they are so much deader by comparison to real sailing on boards. But having said that, twist the upper half of your body and look upwind at the same time as loosening the grip on the wiggle thing and let the boat 'hunt' for you, works wonders. Providing of course you have a well set up boat that isn't all weather helm like my little sailing joy the Solution. The Alto was equally good as I imagine would be a 505, and surprisingly if you could stop it rocking and rolling that RS200 was nicely balanced and not bad at all upwind. Now my little Mini sprint will point like a demon - and then slip sideways because it has a crap centreboard, so you have to dig the rail of the boat in a bit to try and stop that. Neither did I rate the Blaze in light weather, always thought it was under foiled,now a Phantom.. just sit there and enjoy your pies, it does all the work. Moral of the tale, they are all different but You have to learn first so you can tell the difference and that's taken me the best part of ten years.. And now I've got a boat which if you point it you die (Farr 3.7)so you have to foot it off, sail under the damned Lasers, let some speed build then the foils do the work and if there's not enough wind to get on the wire - sail something else.